When I was a kid, it was pretty standard for everyone in the class to give each other a simple Christmas card from a bulk pack that they may have written a quick to and from messaged in. These days parents have so many cool ideas for what their kids can hand out before breaking for the school holidays. I am actually in awe of how organised some of these parents are! Don’t get me wrong, I love a great DIY project and usually end up doing the ‘Why didn’t I think of that’ thing when my kids come home with super cute gifts from their friends. In fact, I even put together a round up of awesome class gift ideas in case you are feeling super creative! 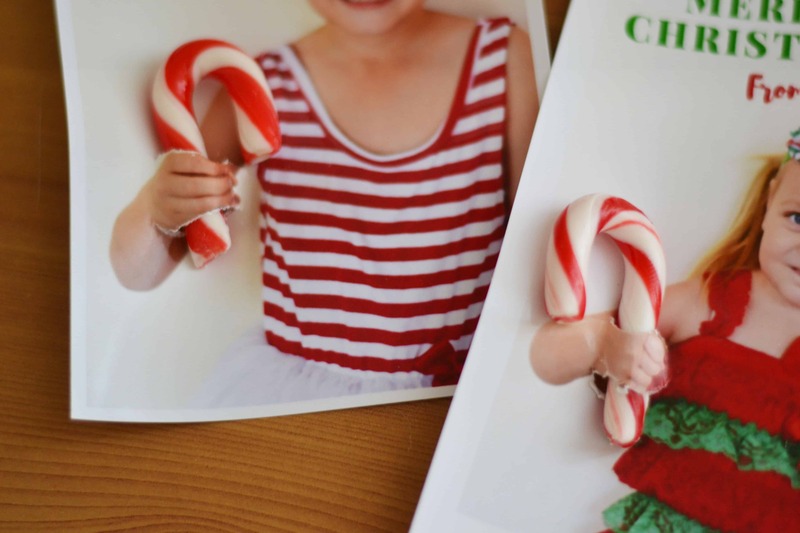 However I wanted to share with you what we are doing this year, with fun DIY personalised christmas cards with photos & candy canes. These are a super cute and inexpensive option that you can put together fairly quickly as a class gift idea. And it does not need to be candy canes that you use. 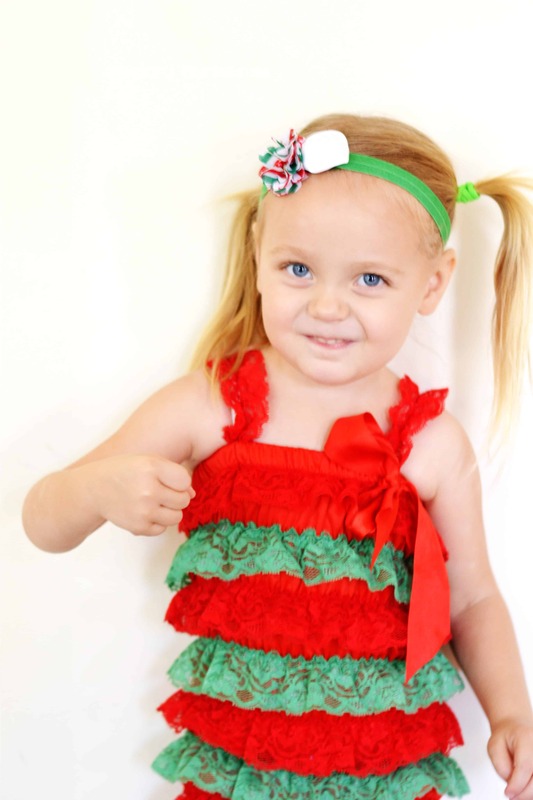 You could use novelty Christmas pencils, a crayon… anything that slots into the small gap really! 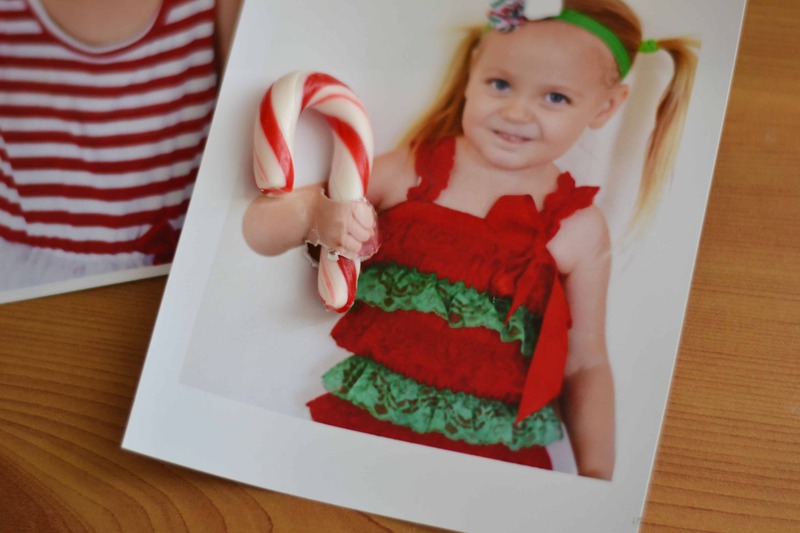 1 – Take photographs of your kids to look like they are holding something in their hand. Aim to have the hand out front but not too close to their face. It can take a bit of trial and error. Ours weren’t great but working with kids… you know the drill! 2 – Edit your photographs using an edition program such as Photoshop, or I used the free online program Canva and added text to my images. 3 – Print out your photos at home or at a photo printing place. I did mine on our home printer which is just a simple Epson printer. Nothing fancy. I printed with a border on my images at 6 x 4 size. This is standard photo size and the standard photo print setting for my printer, and it meant nothing was too close to the edge either. 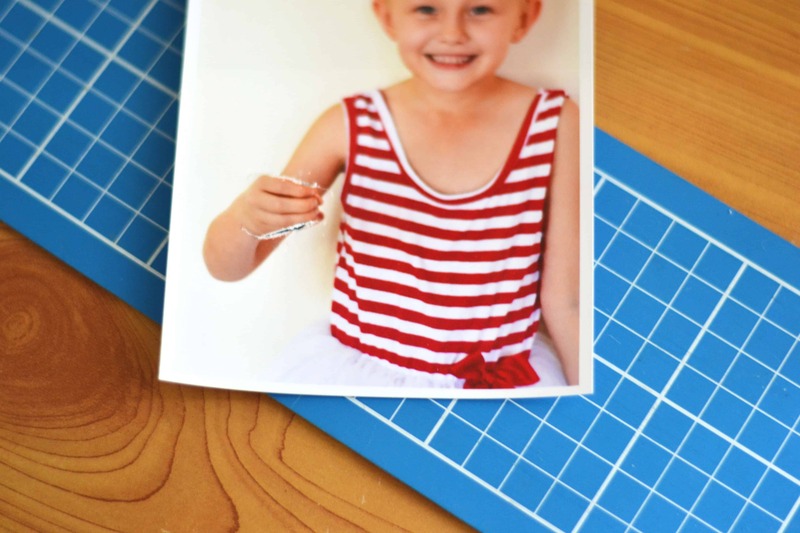 4 – Using a craft knife or stanley knife, carefully cut a slit in the top and bottom area where the child’s hand is on the photo. 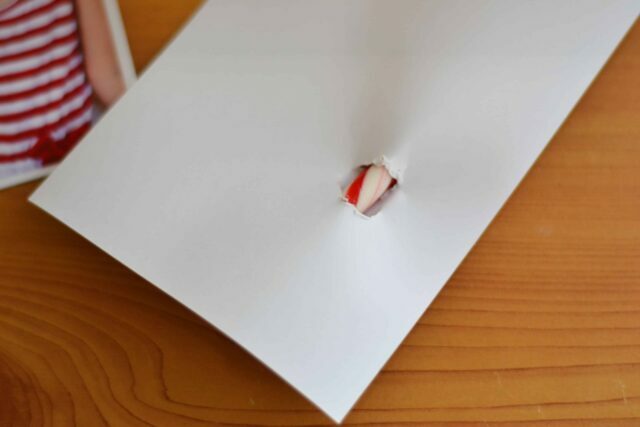 This is where your candy cane or pencil will slot through. 5 – Carefully slide your candy cane into the slots, trying not to tear the photo. As you can see, I got mini candy canes and then realised when I got home that they aren’t individually wrapped so these ones are just for the purpose of the tutorial. I will need to get some more on my next trip to the shops. Hot tip to make sure you get the right kind! And that’s all there is to it! 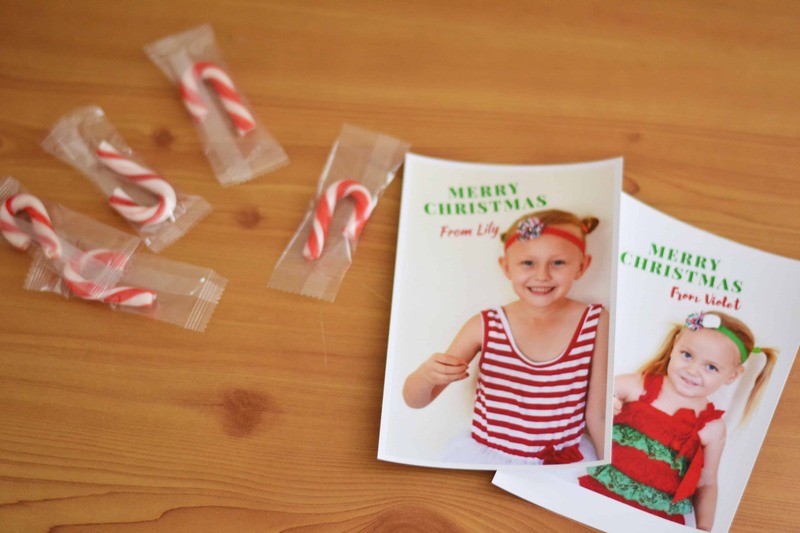 You can have your kids write a quick message on the back before you put the candy canes in if you like, or you may even want to add a little text box or To: section on the front when you edit your photograph. Completely up to you! 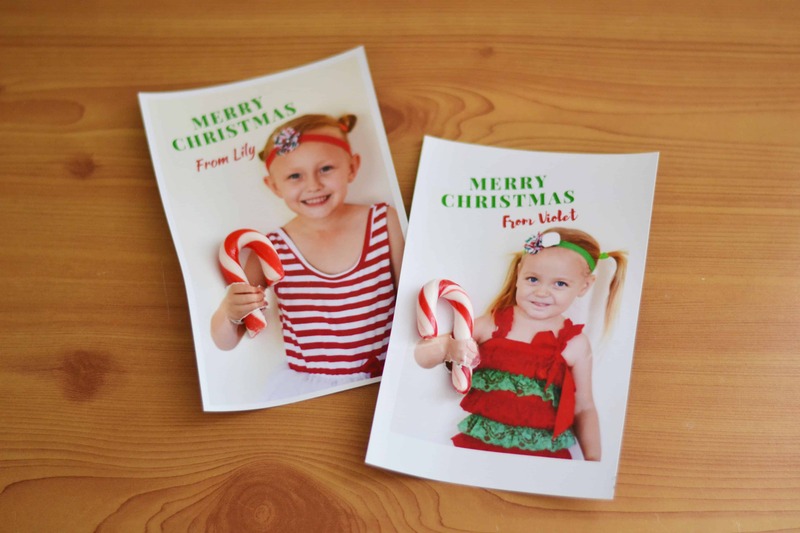 These are a cute and fun Christmas card alternative for kids to gift to school friends. I love that they took me almost no time at all to create and the kids love that they get to star in their Christmas cards this year! Although it would have been great if my youngest smiled… but ya can’t win them all! You could even make a similar style photo card for other special occasions through the year, such as Valentines Day or Easter, adding different items to it – lollipops, message scrolls, whatever you can think of! And it doesn’t just have to be your kids who feature. 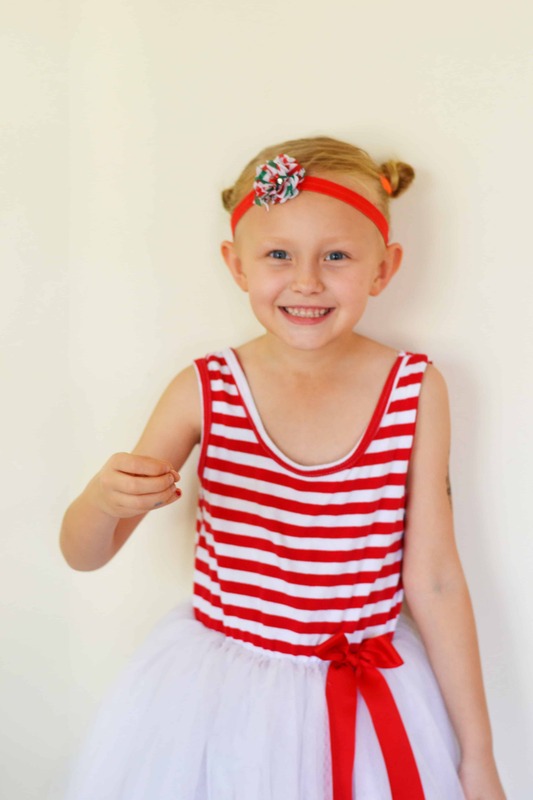 Why not create your own smiling face on a novelty Christmas card!